Wine blends offer more complexity that single varietal wines. 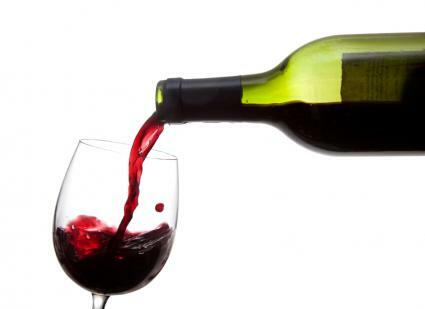 In fact, some of the world's greatest wines are made from a blend of grapes rather than a single varietal. By blending varietals, winemakers can change a wine's qualities. At its most basic, vintners blend wine made from different grapes in order to add more complexity to the flavor and texture of a wine. The goal of blending wine made in different vintages is more to balance out the flavor characteristics. Both reds and whites can be made from blends of varietals. In some cases, they may even blend whites and reds together in order to create the best possible combination of aromas and flavors. An excellent example of a wine blended from red and white grapes is Côte-Rôtie in France's Rhone region, which blends the red wine grape Syrah and the wine wine grape Viognier. Some wine blends are made from classic recipes handed down from generation to generation. Other vintners create brand new blends in an attempt to produce a new and exciting wine that has flavor characteristics like nothing else on the market. Wine is blended in many different ways. As previously discussed, winemakers frequently blend varietals; however, they create other blends, as well. Vintage wine blends are different grapes grown in the same vintage, or year. This may be something as simple as a vintage Cabernet Sauvignon-Merlot blend, or it may be something as complex as blending up to 13 different grapes to create a Châteauneuf-du-Pape. Some wines, such as Port and Champagne, among others, blend grapes grown in different vintages in order to balance flavors, tannins, and other wine characteristics. These wines are typically labeled NV or non-vintage, and there will be no year listed on the label. While this practice is most common in sparkling wines and ports, other winemakers may utilize the technique, as well. You can find red wine blends from wine regions all over the world. As a result of these vintners' rogue wine blends, the DOCG stuck Super Tuscans in the lower class "table wine" category because they did not conform to DOCG regulations. Eventually, these wines got a designation all their own, the Indicazione Geografica Tipica or IGT. Wines in this classification fall between what may be considered (but not always the case) higher quality DOCG classification and the lower quality "table wine" classification. If the vintner uses any other grapes, the wine cannot be labeled Bordeaux. winemakers generally choose two to three different grapes form the approved Bordeaux list, but rarely, if ever, use all six grapes. winemakers all around the world copy Bordeaux's blending style into blends known as meritage. The word meritage is a blend of the words merit and heritage. Meritage wines found their beginnings as a result of vintners producing a Bordeaux style blend of wine, but the grapes, nor the wine were from Bordeaux. Only wine made in Bordeaux can bear the name. The vintner must produce 25,000 cases or less of Meritage wine per year (vintage). It must be considered one of the wineries higher quality wines. Wineries must be approved by the Meritage Association in order to use the name on the label. Meritage blends are made in the same style and using the same grapes as the Bordeaux blends described above. Châteauneuf-du-Pape, which are Grenache-based wines with many other grapes blended in. Côtes du Rhône are red wines made up of a spicy and rustic blend of red wine grapes. Côte-Rôtie is a blend of fragrant Viognier and spicy Syrah. Winemakers around the world are becoming extremely innovative in their wine blending techniques. New World winemakers often create daring blends from grapes not traditionally combined, creating new and exciting flavor and aroma profiles. If you're in the market for an exciting wine blend, talk to your local wine shop to find one that suits your palate.